Need to upgrade your current pair of sunglasses to something a bit newer, fresher, and more stylish? There is no better time to invest in a new pair of quality Nike sunglasses than the summer season when the weather has warmed up and the sun is shining brightly. If you are looking for something practical yet trendy that will combat the glaring sunshine and make you look great, check out some of these super popular Nike sunglasses that men love. Nike Rabid EVO603: These stealth, sleek Nike Rabid EVO603 sunglasses give off sophisticated edge with its dramatically black frames and grey tinted lenses. The sunglasses are suitable for a wide array of outdoor and athletic activities whether you just need something to wear when you are grilling in the backyard or need protective eye wear when you go for your long-distance run. The lightweight, super comfortable frames are made of a sturdy Flexon memory metal and the glasses are constructed with multiple features including secure wrap temples, a ventilation system, and patented engineered tints and max optics. Nike Essential Chaser R EVO998: If you aren’t into the traditionally dark look that most sunglasses have, why not get a little retro with these colorful Nike Essential Chaser R EVO998 sunglasses? Built with wide square lenses for greater viability and a durable nylon frame that is weightless and comfortable, these Nike sunglasses are great for both the everyday wearer and the elite athlete. You can also enjoy great clarity with the MAX optic lenses and see even more from all angles. An added perk of these Nike sunglasses is that they are prescription capable and have custom-made corrective lenses constructed into the frame. Buyers can also choose one of the five fun lens colors that the sunglasses come in. Nike Essential Navigator: A bit less showy and vibrant than the Nike Essential Chaser R EVO 998 sunglasses, these shades still prove to be yet another popular option among men. Designed with a slightly out-of-the-ordinary frame that is both curvy yet constructed with a sharp angle, these sunglasses don’t skimp on comfort. They are built with rubber inlays to add the maximized level of comfort, making these shades a great choice for all-day use. They come in multiple frame and lens color options including matte anthracite and cargo khaki, matte seaweed and black, matte black and anthracite, and matte tortoise and night maroon. The frames are equipped with high tension hinges that add greater support, security, and comfort for anyone wearing them during rigorous physical activity or intensive athletics. 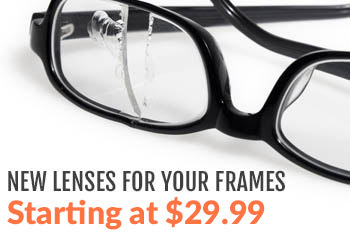 For an added element of comfort, the frames are built with rubber temple tips and a rubber inlay nose pad. Nike Fleet: Although the Nike Fleet sunglasses are designed particularly for runners and running activities, they can be worn for a wide array of different physical activities including hiking, walking, training, and tennis. Similar to the Nike Bandit shades, the design of the Nike Fleet sunglasses is clean and minimal and the build is extremely lightweight. This makes them a comfortable option for all day use. It should be noted that these sunglasses are ideal for athletes with smaller heads. In addition to a sleek design and optimum comfort, these shades come with other attractive features including a rubber nose bridge that is ventilated in order to reduce fogging. There are also rubber channels found in the temple arms that act to improve both grip and flow of air. Airflow is improved even more thanks to ventilated holes in the upper part of the frame and the temple arms. The lenses offer sharp clarity thanks to the MAX optics design and the temple arms provide the highest level of stability because of the wraparound design. Nike Vaporwing: This is one of the most incredibly lightweight options by Nike thanks to its high tech and aerodynamic design. The lenses are made to offer crystal clear vision, even in the worst of visibility conditions. The Zeiss Optics built into the lenses mean having a pair of sunglasses that offer extraordinary clarity during all of your athletic activities. The lenses are also designed in a such a unique way that they permit air to go around the lenses, thus minimizing fog. The temple arms are constructed with a ventilation system that reduces moisture buildup and also keeps fog at bay. Rubber channels make up the temple arms, thus providing a stronger grip and more comfortable airflow. An additional benefit that these Nike sunglasses feature that so many other types of sunglasses do not is a lightweight, aerodynamic frame that is built to minimize the effects of harsh winds on the eyes. Top it all off with a flexible, easily adjustable nose bridge and a ventilation system and these sunglasses are perfect for athletes training in all different climates. Looking for more information on the vast selection of Nike sunglasses or other types of Nike eye wear? Don’t hesitate to contact us today with any questions you might have or keep reading our other blog posts to learn more about the different eye wear options available to you. Whether you need eye wear for yourself or for young ones, there is a vast selection to choose from. 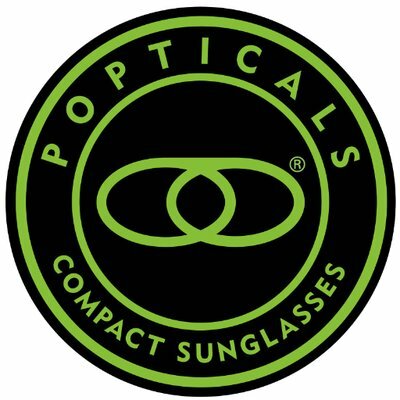 Get a hold of us to discover the many stylish and practical safety eye wear options for outdoor tactical work, athletic activities, water sports, shooting, training, and basic UVA and UVB ray protection.